Most babies don’t get their teeth until they reach six months of age, but it’s important to start attending to their dental needs from the beginning. You should start cleaning your baby’s gums soon after birth. Pediatric dentists suggest scheduling an initial visit before your baby’s first birthday to ensure that his teeth and gums are healthy. During your child’s first year, there will be several conditions that you may need to address. The following information will give you a head start. Your baby’s teeth will begin to erupt through his gums when he reaches about three months of age. Teething is uncomfortable, and it might cause irritability, restlessness, and fussiness. Your baby may drool or lose interest in eating. Contrary to popular belief, no other symptoms are clearly linked to teething. Pediatric dentists recommend gently rubbing your baby’s gums or providing a cold teething ring to ease symptoms. If symptoms are severe, contact your pediatric dentistry office for advice. Baby bottle tooth decay is an important and frequently encountered kids dental problem. It’s caused by the almost constant exposure of your child’s teeth to sugary liquids whenever he sleeps with a bottle. Triggers include milk, formula, fruit juice, and any liquid containing natural sugars or starches. Over time, cavities develop in the upper and lower front teeth. If you notice signs of decay in your baby’s front teeth, contact your pediatric dentistry clinic to schedule a checkup. To prevent baby bottle tooth decay, never allow your baby to fall asleep with a bottle containing anything other than plain water. Pacifiers: Are They a Problem? If you give your child a pacifier, make sure it is safe. Preferable features include one-piece designs, ventilating side holes, non-toxic materials, and easy-to-grasp handles. Always check a pacifier for rips, tears, and other signs of wear before giving it to your baby. Sucking is a normal part of your baby’s development, and it probably won’t cause any problems for the first few years. If the habit continues after his baby teeth start to fall out, contact your pediatric dentistry office. A lifetime of great kids dental care starts even before teeth erupt. 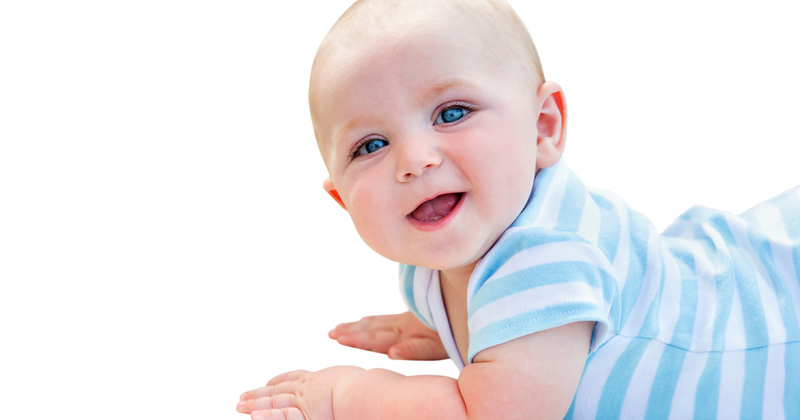 Use a clean, damp cloth to cleanse your baby’s gums and newly emerging teeth. Hold your baby in your lap, and use a cloth-covered finger to gently rub along the upper and lower gum lines. Do this after breakfast and after the last feeding of the day. When teeth start to come in, brush them several times a day with a soft-bristled baby toothbrush and water. Do not use toothpaste until your child is at least two years old. Consult your pediatric dentistry office for toothpaste recommendations.